Whereas 'The Art of the Fugue' remains wrapped in respectful veneration and an aura of mystery, the contemporary 'Musical Offering' has acquired relatively longstanding popularity. This is somewhat paradoxical, however, as the work is no less complex, and its overall architecture raises just as many questions. In 1980, the musicologist Ursula Kirkendale was able to show that the various pieces of the Musical Offering are organized exactly like the various constituent parts of the discourse according to Quintilian�s ancient treatise on oratorical art. Taking his cue from this hypothesis, Enrico Gatti presents this cryptic masterpiece with his Ensemble Aurora, here composed of his brother Marcello (flute) and two artists well known to the Arcana catalogue - cellist Gaetano Nasillo and harpsichordist Guido Morini, leader of the Accordone ensemble. 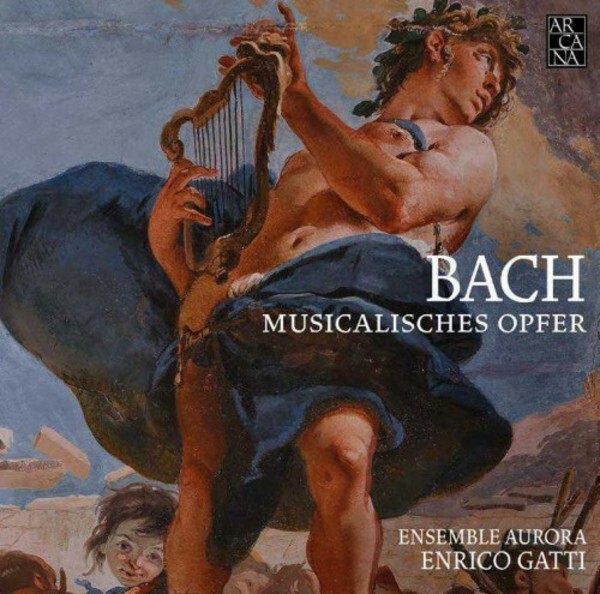 Also included on this disc is the Sonata BWV1021 (for violin and basso continuo) and its arrangement as Trio Sonata BWV1038 (for flute, violin and continuo).